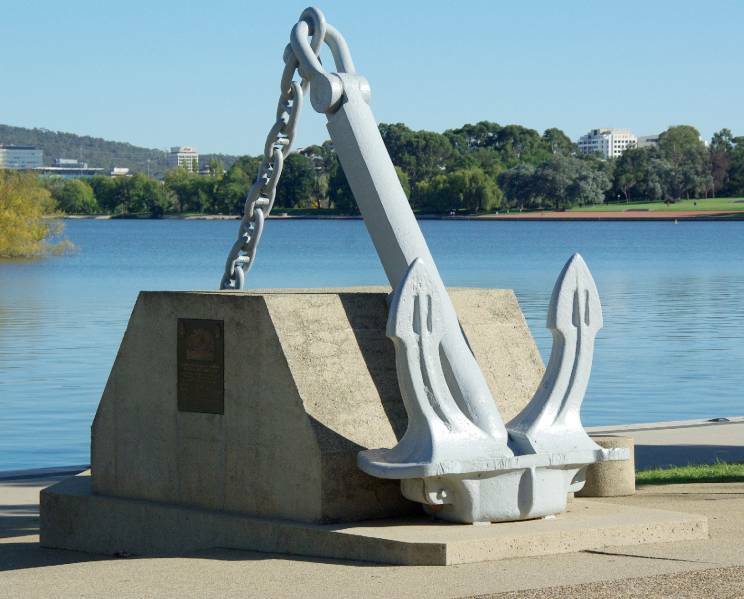 Honouring the RAN cruiser named after the Australian capital city, the HMAS Canberra Memorial is located on the shores of Lake Burleigh Griffin that forms the centre piece around which the city of Canberra was built. 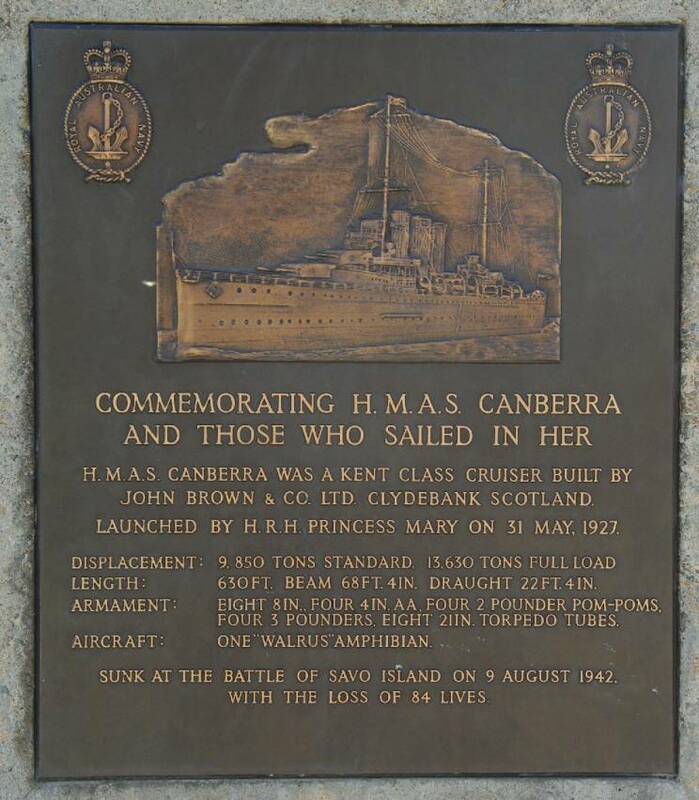 HMAS Canberra was a Kent class heavy cruiser serving with the Royal Australian Navy during WWII. She was lead ship of a combined USN-RAN screening fleet charged with protecting troop transports during the landing operations on Guadalcanal in the Solomon Islands in August 1942. In a surprise onslaught during the early hours of August 9, 1942 near Savo Island, she was hit 24 times by the Japanese attackers who were attempting to disrupt the landings, with the loss of 84 crew including her Captain Frank Getting. The damage to Canberra was so severe that she could not be saved and was therefore sunk by torpedo from a U.S. destroyer the following day. The cruisers USS Astoria CA-34, USS Quincy CA-39 and USS Vincennes CA-44 were also lost during this engagement and the two U.S. destroyers USS Ralph Talbot DD-390 and USS Patterson DD-392 damaged. 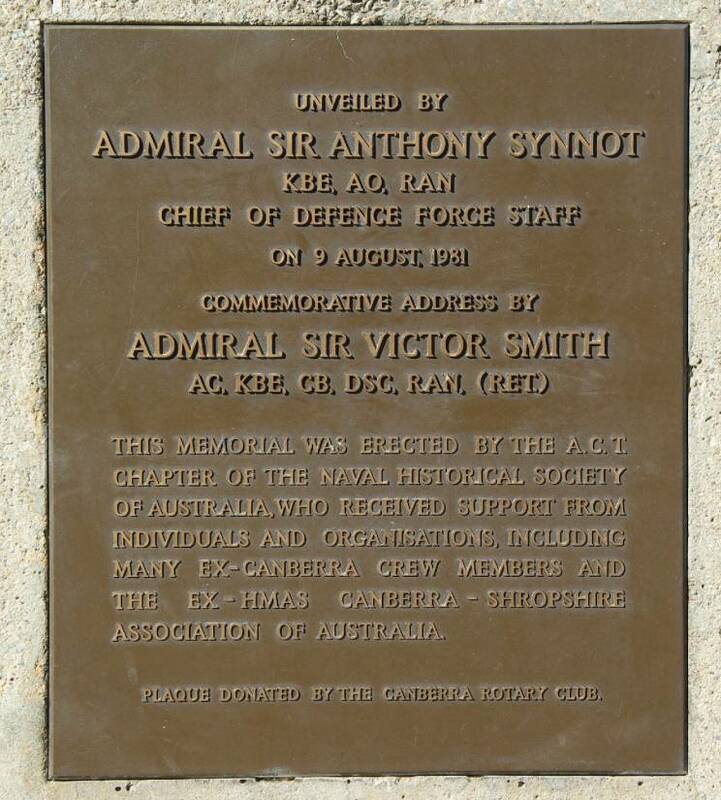 Close-up of the information plaque. 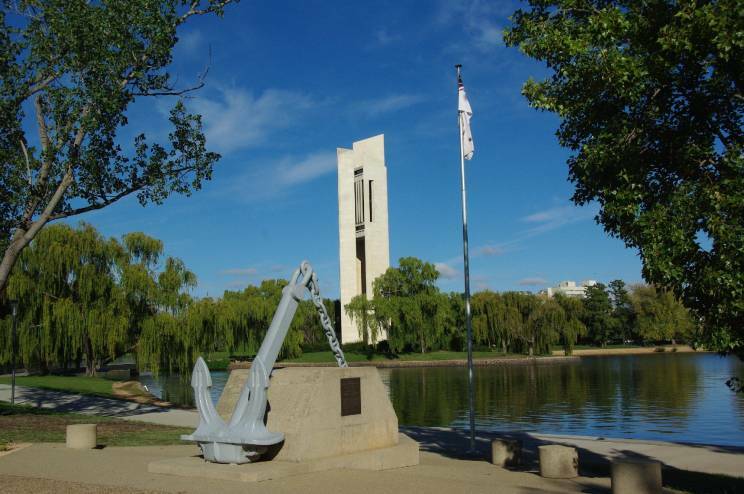 Another view of the HMAS Canberra Memorial.